You are here: Home / Blog / Cosmetic Dentistry / Dentistry care on your vacation in Cancun! Getting affordable dentistry during your vacation can be exactly what you need, but even then, when we go on holidays we usually change schedules, meals, and often neglect our oral hygiene routine, as well as it is very common to go over the board with excess sugary foods, especially in drinks when you are trying to enjoy the beach. Keeping a healthy smile during your vacation days is easy! If you are coming to Cancun you can come to our dental clinic for your routine yearly cleaning, get that root canal you need, or improve your smile with teeth whitening or some crowns… perhaps even a dental implant! It will be the best way to save on money and prevent bigger dental problems. We offer general dentistry services as well as cosmetic dentistry and dental implants… so anything you need, you can find it here. But if you are visiting other place instead of Cancun on your vacation, then that usually would mean people neglect their routine of hygiene, so it is advisable to carry a small kit with the necessary items. That is, a kit with a toothbrush and toothpaste, a small mouth wash bottle and floss. It is important to keep these utensils in good condition to prevent the proliferation of bacteria. In addition to daily brushing, the best allies to perform a good cleaning are the mouthwash and dental floss. Also oral irrigation is also recommended, especially in orthodontic patients but carrying a water irrigator can be a little tricky… but not impossible! We have a patient that actually brings hers with her to clean her screw retained bar and teeth. You can watch the video here. 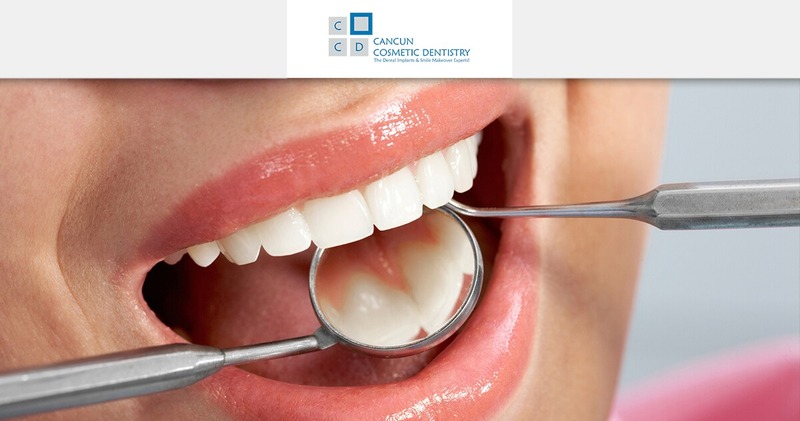 Get a free evaluation from Cancun Cosmetic Dentistry! The best Snap in Dentures solution for your smile! Where to eat in Cancun during your dental vacation?